With the fast pace life we all live, it’s no wonder kids are having a hard time delaying their gratification – today’s culture makes them impatient, wanting for things right now. When you teach your kids the gift of delayed gratification, they start to feel more relaxed, patient and are actually kinder to others. Delayed gratification is definitely something we all can benefit from. Kids who grow up being taught to wait, will have a more well-rounded attitude when they venture into adulthood. And all research shows, that kids who master delayed gratification when young are more successful as adults. 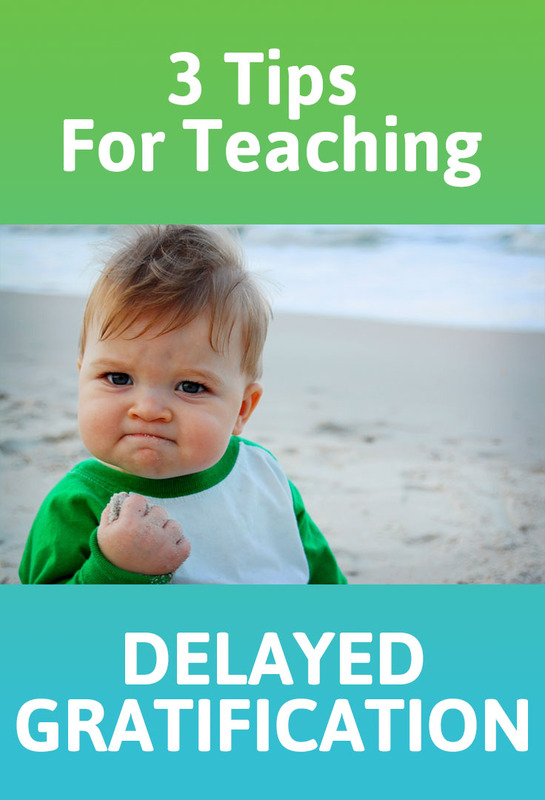 Here are three tips for teaching delayed gratification to kids. If you are a parent trying to determine the best way to encourage your kids to save money, you are not alone. Part of our jobs as a parent is to teach our kids how to survive in the real world, and financial responsibility is of high importance in the list of life skills we must teach our kids. 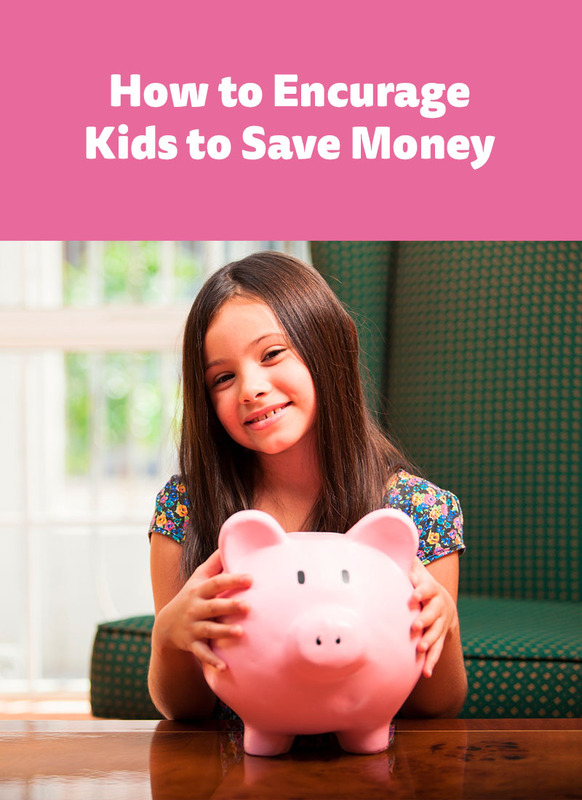 There is no one solution fits all scenarios when it comes to encouraging kids to save money. Each kid thinks differently about money and while you may think you are being the example, sometimes kids are simply big spenders by nature. Here are some ways you can help encourage your kids to save money and hopefully grow up to become financially savvy adults. Giving to charity is important for many people. It makes you feel good and it makes others feel good. When one helps others through the act of giving to charity it becomes an act of kindness that goes around in circles and comes back tenfold. When it comes to kids giving to charity, one has to handle it a little differently. The younger your kids are the less likely they are to comprehend what giving to charity really means. It is still important you introduce the concept of donating, as it helps teach very important life skills. Letting your kids earn extra money is a great way to start teaching them financial skills. Many parents have found out the hard way that schools do not teach much in the area of money matters. When it comes to kids, this is a life skill that is necessary and will easily help mold them into being financially responsible adults. One of these important skills is learning how to earn money, and also how to find opportunities to do so. Teaching kids how to be financially intelligent doesn’t require a whole lot of effort. 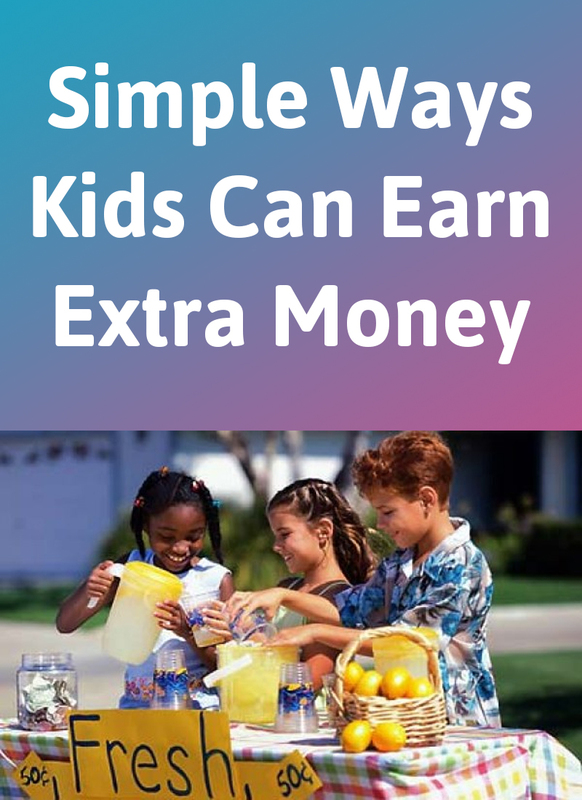 There are many simple ways kids can earn extra money and today we will showcase some ideas to help guide you forward in allowing your kids to earn extra cash to spend or save. 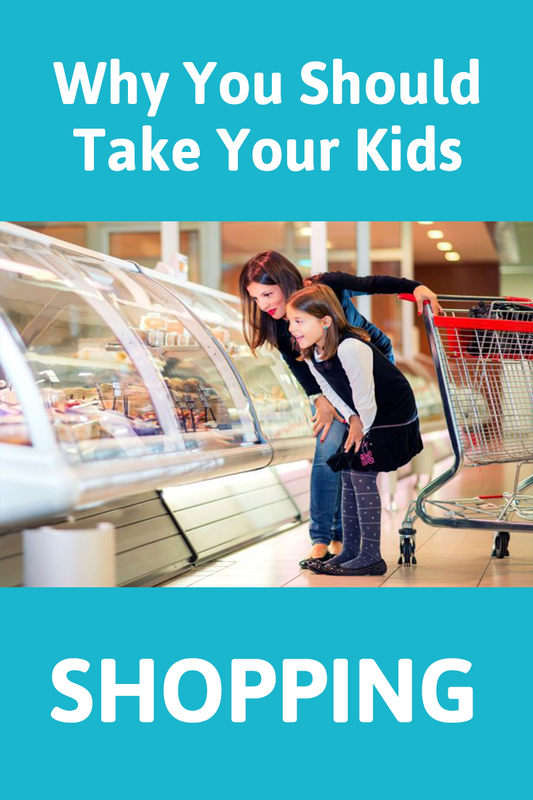 Most parents look for ways to avoid taking their kids to the stores at all costs. Let’s face it; bringing your kids out shopping isn’t really fun for anyone. The kids get bored and parents get tired of fighting the many “I am bored” statements their kids will say throughout the entire shopping trip. The only thing worse than that is having everyone stare at you when you make your kids cry when you tell them that you won’t buy them more candy and toys. With that being said, there is a reason you should start taking your kids shopping with you. There are many money lessons a kid can learn when you take them shopping. Financial skills are one of the most vital components of adulthood, yet few schools teach money lessons. This is a surprising fact for many kids around the world. Financial skills are simply not placed at a high level of importance comparative to reading and mathematics. Sure one could argue that mathematics is the foundation for financial skills, however, learning about money isn’t simply learning numbers. As a parent you know it is your job to equip your kids with the skills they need to survive in the world. 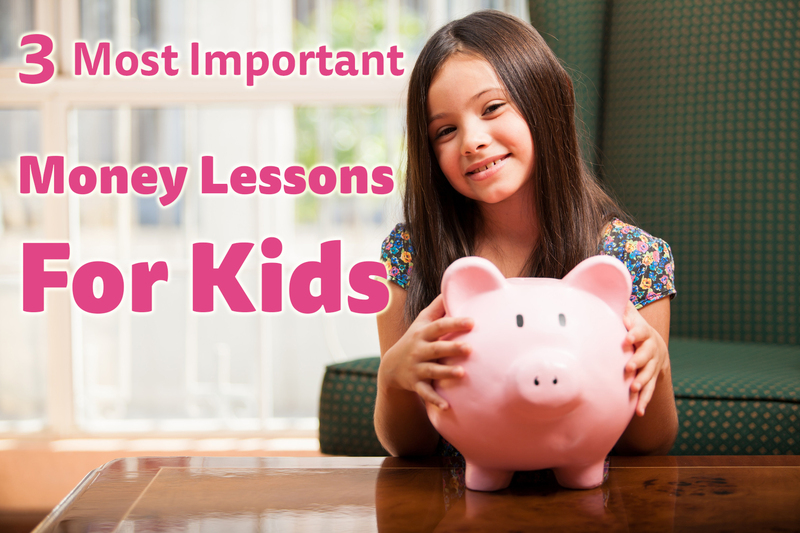 Money lessons rank pretty high on the list of skills parents must focus on teaching kids, and so today we are sharing 3 most important money lessons to teach kids so that you can move forward in raising financially smart kids. As adults we are often faced with the challenge of determining what we spend our cash on. Whether we learned from a young age to develop a want vs a need strategy or not, many adults still struggle with this concept. As parents to kids it’s our job to start teaching financial lessons as early as possible to ensure our kids grow up without the difficulties of knowing how to determine where to spend their hard earned cash. 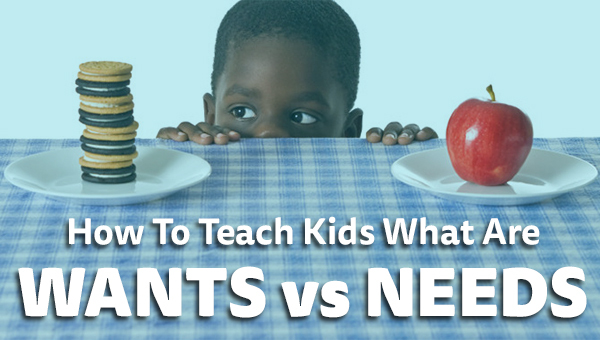 Today let’s chat a bit about how you can teach kids a want vs a need so that they can be successful in their financial decisions. One of the main responsibilities of a parent is to instil good values, morals and beliefs. With that being said, parents also need to teach children certain life skills that they can utilize in adulthood. The debate of whether you want to pay kids for doing household chores or not has been an ongoing battle with no correct answer. 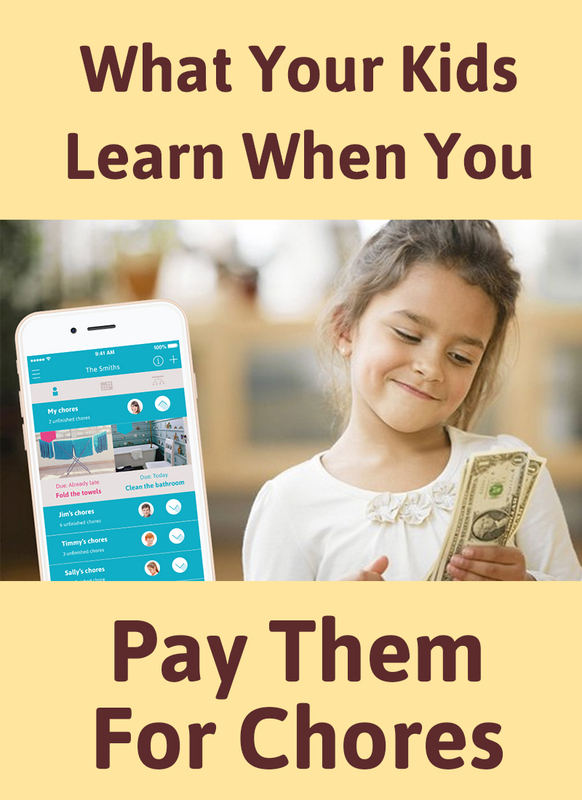 If you are still teetering in the decision to pay kids for chores, then read on to learn what your kids learn when you pay them for chores. You may be surprised. Parents of multiple children will understand the concept of sibling rivalry when it comes to chores. Perhaps your kids are arguing over their younger sister being able to do less of a chore while they are stuck shovelling the pet mess on the front yard. Other times your younger kids are upset that they can’t do the big kid chores and so on and so forth. 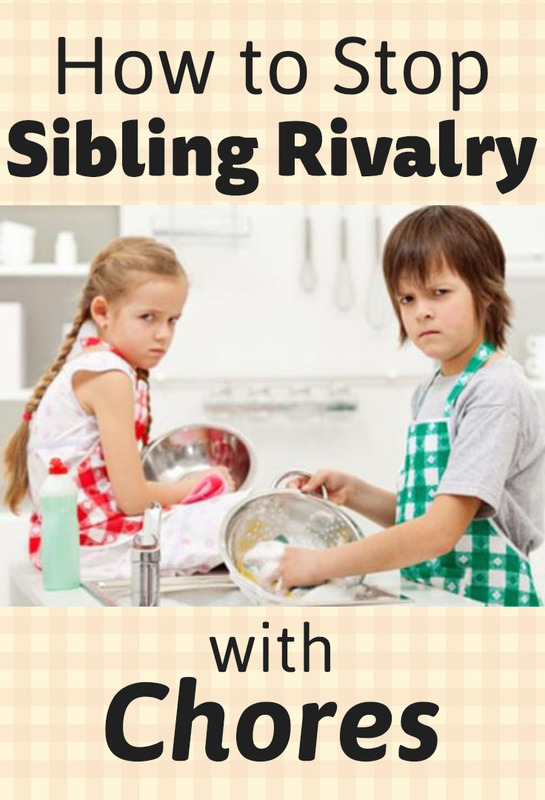 Sibling rivalry is a given when it comes to raising more than one child and yes, it often occurs over chores. Kids don’t think they are all that fun (How is that possible? ), they feel you’re definitely not being fair, and want to do precisely that “easy and super-fun” chore that you so unfairly assigned to their sibling – again! As parents it’s our job to teach our kids about financial responsibility. This means that you shouldn’t feel guilty for not buying junior that much desired video game or little Lilly that doll she’s been begging for. Even if you are a parent who makes enough money for those extras, it’s good to handle a little restraint. Kids are forever watching their parents. Kids comprehend more than parents give them credit for. 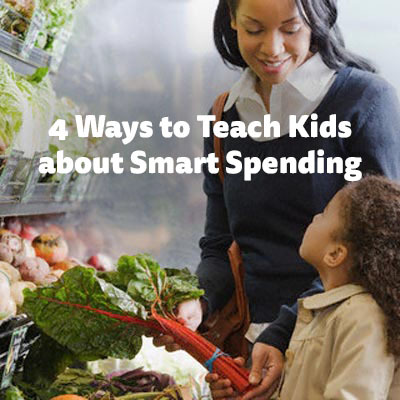 As you work to practice smart spending habits, the kids will pick up some of those habits.